Dude, it's finally fall! This is cause for great rejoicing! I love fall. Fall is my favorite. I can always tell when it's coming. There's something in the light that changes. The air gets a bit more crisp. It makes me want to make pumpkin muffins and go apple picking in the mountains. And fall decor is gorgeous! 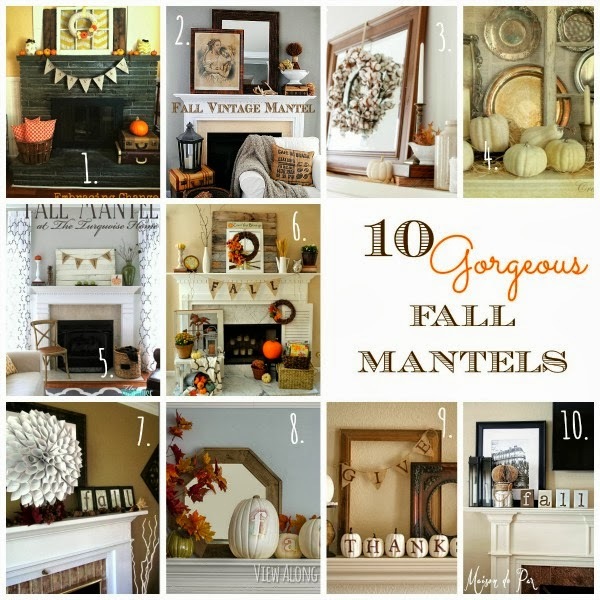 Just check out these fall mantels to see what I'm talking about! I love all the neutral decor and white pumpkins. All super pretty mantels, and some of them really aren't that hard to put together! I'm still working on the finishing touches to my fall mantel. I can't wait to share it with you next week! Which one of these mantels is your favorite? And, more importantly, is the whole "fall light" a real thing or am I crazy? 'Cause I would really like to know if I'm just crazy. It's totally possible.